As fall and harvest starts to wind down in Wisconsin, some farmers are starting to buy feeders to feed for the winter. This year, farmers are taking a more critical look at the economics of their feeding operation with strong feeder calf prices and high corn prices. The UW Extension Livestock Team has developed some helpful decision-making tools for this purpose. 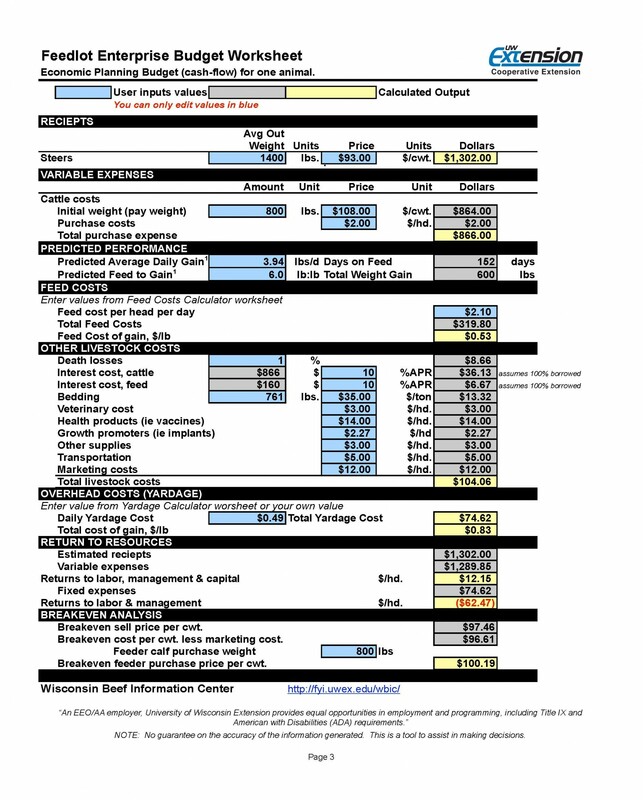 Feedlot Enterprise Budget Worksheet is a great tool to develop a budget for feeding a group of cattle and includes a breakeven analysis. 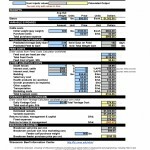 This worksheet can easily be used for backgrounding and stocker enterprises. The worksheet included a feed costs and yardage calculator to supplement the feedlot enterprise budget. The Feedlot Yardage Calculator is valuable tool for feed operations, however few farmers know what their yardage costs are for their operation. These worksheets and other economic tools and software can be found on Wisconsin Beef Information Resources page. For any questions regarding the spreadsheet and examples please contact Amy Radunz at aradunz@wisc.edu or Bill Halfman at Bill.Halfman@co.monroe.wi.us. Few cattlemen have the chance to follow cattle once they leave the farm through the process of becoming beef. The Steer to Steak Workshop is being offered to provide this unique opportunity to cattle producers by University of Wisconsin-Extension, UW-Madison Department of Animal Science, and Wisconsin Beef Council. The fall is coming to an end and for most farmers the crops are harvested, the calves weaned, and cows are preg checked. This is a great time for farmers to make plans for the winter for the cow herd and if you take the time now to plan how to feed cow herd this winter, this can pay dividends in the spring and summer. 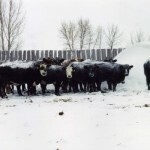 So here are some simple tips to help winterize the cow herd.